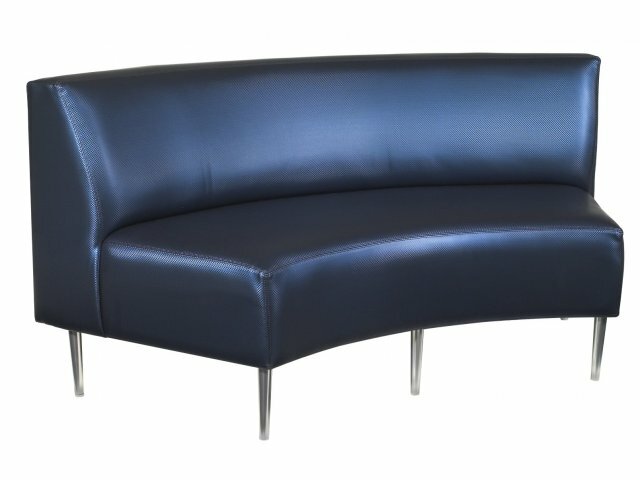 With plenty of space to seat two people comfortably, this curved loveseat creates an intimate meeting area, where colleagues can brainstorm and confer. 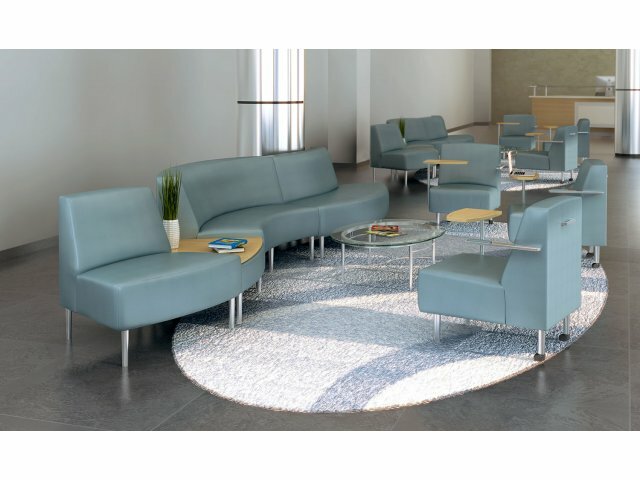 Eve Modular Reception Furniture gives a warm contemporary greeting to your guests, clients and employees. With sleek lines and a comfortable design, this is a perfect fit for a modern open-plan team area, training room or lobby. The modular collection allows you to form intimate clusters or long, winding rows, to utilize your space to its maximum potential. With such an appealing aesthetic, durable construction ensures that this reception furniture will be giving the right impression of your business for many years to come. Whether you prefer glamorous or understated hues, the wide selection of upholstery offers plenty of options which fit your preferences. Give your company the creative public spaces that will keep you current and relevant in the changing world, with Eve Reception Furniture. Comfy Seat: Cushy 4.5"-thick, high-density foam provides a comfortable seat. Sleek Legs: Stands on brushed aluminum legs with adjustable glides. Power Ready: Optional, built-in USB power port provides a convenient place to charge devices. Modular Collection: With so many cool contemporary pieces, the possibilities are endless. Professional Style: The modern aesthetic is a good fit for training rooms, waiting rooms, reception areas, open plan team areas and more. Durable Construction: Supported by a sturdy hardwood frame. 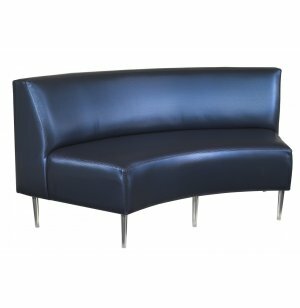 Upholstery Options: Upholstery is available in an attractive array of colors, styles and designs.